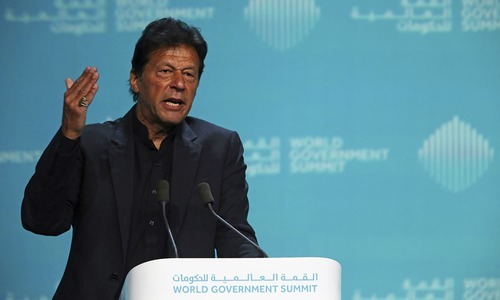 ISLAMABAD: An anti-terrorism court (ATC) of Islamabad on Tuesday granted permanent exemption to incumbent Prime Minister Imran Khan from personal attendance in cases related to the 2014 attacks on Parliament House and Pakistan Television (PTV) during their protest sit-in. Judge Syed Kausar Abbas Zaidi of the ATC also exempted President Dr Arif Alvi, Finance Minister Asad Umar, Foreign Minister Shah Mehmood Qureshi, Education Minister Shafqat Mehmood, Pakistan Tehreek-i-Insaf leaders Jahangir Khan Tareen, Aleem Khan and others from personal appearance in court till Oct 2 when the proceedings would resume. 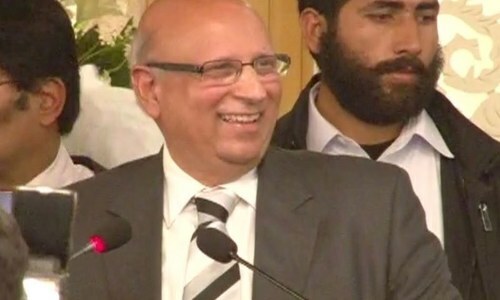 Defence counsel Mohammad Ali Bukhari said Dr Alvi could not be tried in criminal proceedings because he enjoyed immunity under Article 248 of the Constitution after becoming the country’s president. Former adviser to the prime minister on parliamentary affairs Dr Babar Awan, who recently resigned from his post to contest corruption allegations in an accountability court, secured permanent exemption for PM Khan from personal appearance. Dr Awan offered his services to plead the Parliament House attack case on behalf of Mr Khan before the ATC. However, special prosecutor Rafaqat Hussain Khokhar did not oppose the grant of exemption from personal attendance. According to the prosecution, the 2014 protest was not peaceful. The prosecutor said the suspects violated the Constitution and incited others to topple the government. He said three people were killed, 26 others injured while 60 were arrested during the protest. The prosecution had submitted 65 photos, sticks, cutters etc, to the court to corroborate its claim. Besides, the PTI leaders had approached the court to seek bail after a gap of three years, the prosecutor said, while admitting that police should have arrested them earlier. On August 31, 2014, the PTI and Tahirul Qadri-led Pakistan Awami Tehreek (PAT) workers marched towards the Parliament House and Prime Minister House and clashed with the police deployed at the Constitution Avenue. The following day around 50 protesters allegedly belonging to the PTI and PAT attacked and injured SSP Asmatullah Junejo. The police initially arrested six individuals who were allegedly involved in the attack.